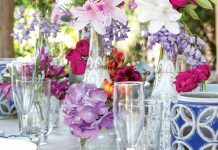 A flower-strewn setting welcomes guests to celebrate summer’s kaleidoscope of color. Just as an artist dips into his favorite paints to create a masterpiece, Nature seems to choose her most vibrant hues for summer. From deep fuchsia to bright orange to sunny yellow, the signature shades of the season leave no doubt that summertime is here in all its glory. 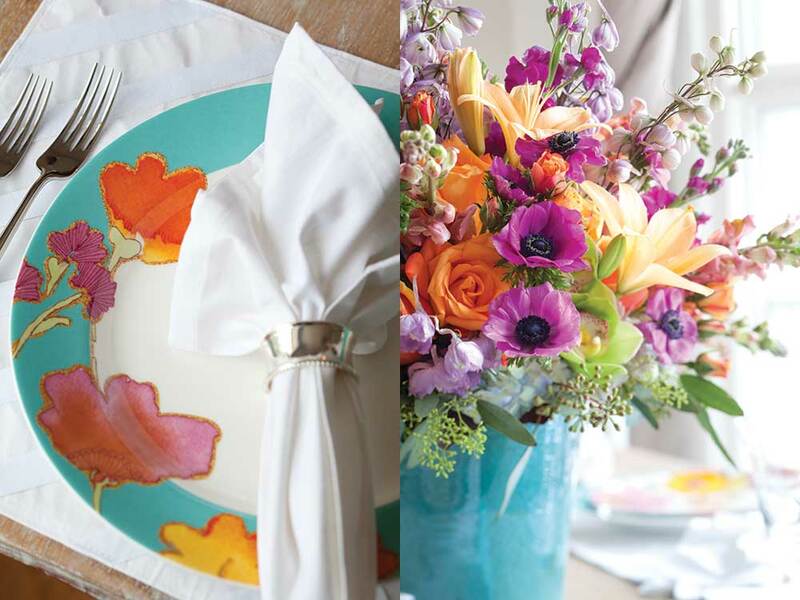 Let these brilliant colors inspire a setting that rejoices in the beauty of the summer garden. 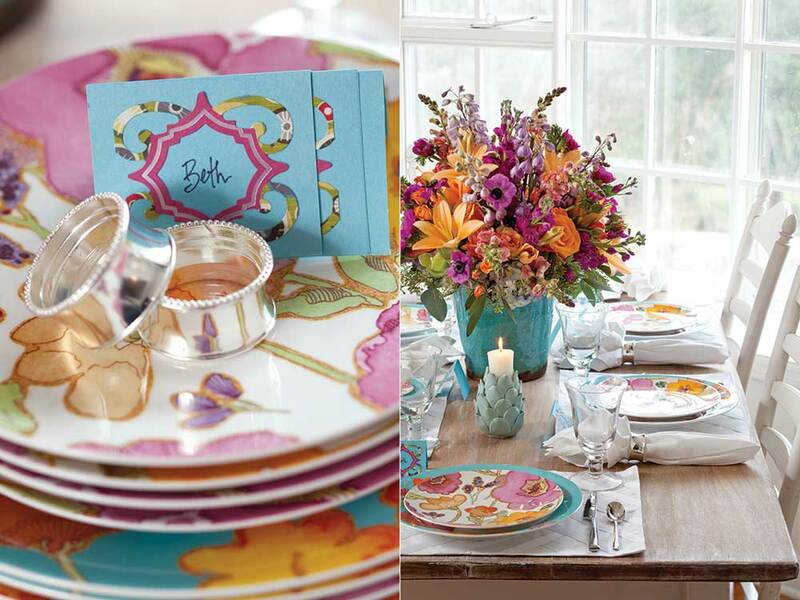 An eye-catching china pattern, like Floral Fusion Aqua by Lenox, offers the perfect start. 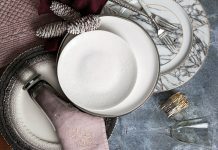 Because the dinnerware has so much color, choose a neutral shade for the linens—crisp white place mats and napkins are the ideal complement. Add shiny silver napkin rings and etched glassware for a bit of polish and floral place cards to match the theme. 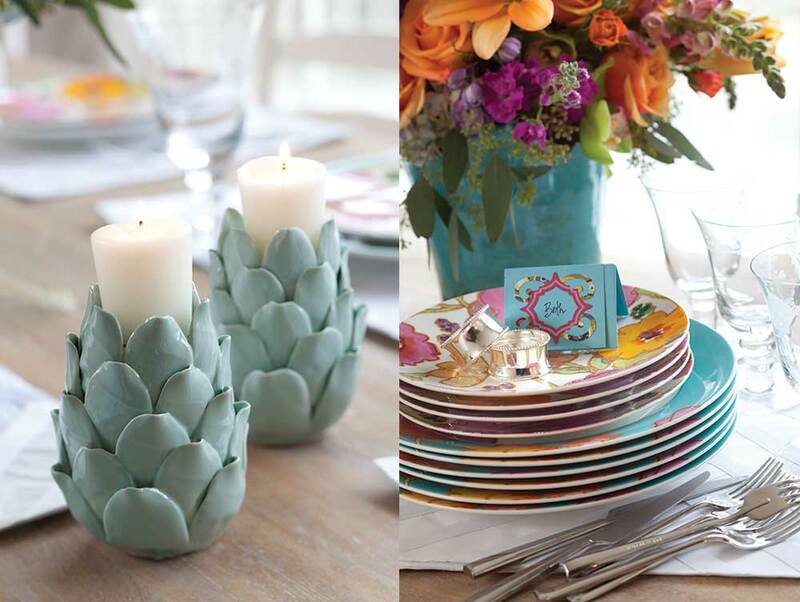 Unique artichoke-shaped candleholders bring a whimsical yet elegant note to the table. 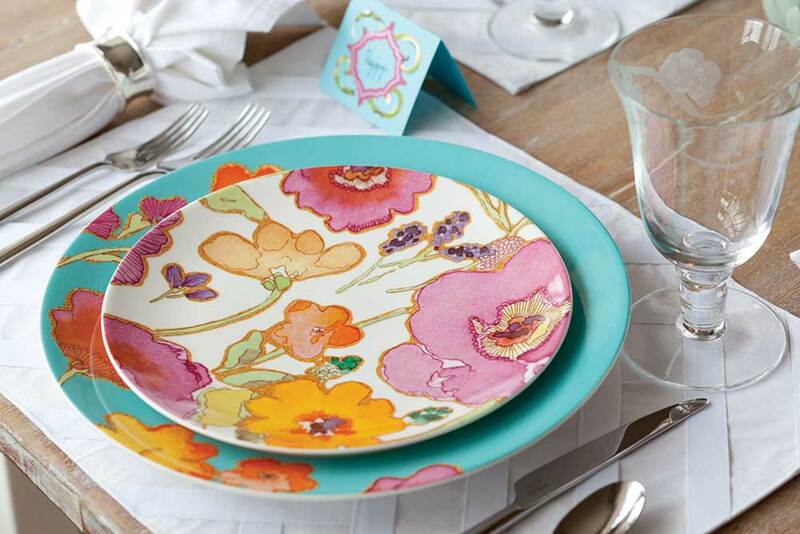 Echo the floral component of the china with a centerpiece that matches its exuberance. 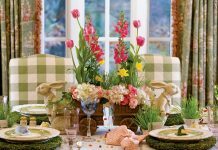 Whether you order an arrangement from a florist or simply clip stems from the backyard, choose a combination of extravagant blooms—try daylilies, gladioli, and peonies—then fill in with smaller bunches of tea roses and greenery. The resulting display, along with the rest of the setting, is a true celebration of summer’s amazing bounty.